Want to Race the 2016 ULTRA4 Series? 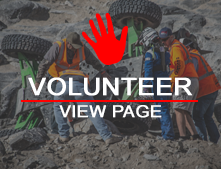 If you're a new driver, please read through this information before heading to our online registration page at www.ultra4racing.com/races. 1. What class are you interested in racing in ULTRA4? There are 7 classes racing at Western races and 6 classes racing in Eastern Races in the 2016 ULTRA4 Series. Read more about Want to Race the 2016 ULTRA4 Series?